With what I think were heartfelt reasons, the Labour party (including their affiliated trade unions), elected Ed Miliband to the leadership of the party, to represent views that brought to a close the New Labour project. His brother David, the heir apparent, was defeated because he embodied all that Labour party members had come to despair about the party. Ed seemed to talk a good game about getting back to a form of social democratic politics at the leadership election, long absent through the Blair and Brown regimes, and this is what won him the contest in the end. 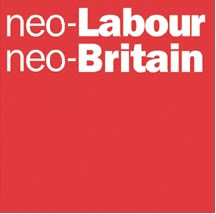 Tens of thousands of people have joined, or re-joined Labour since their 2010 general election defeat, many who I am sure wanted to vote for the new leader, and all with the optimistic hope that Labour would now get back to being something like the party it once was; a champion of the people, not the wealthy, big business and finance capital. They must be very disappointed. Recent pronouncements from both Ed Miliband and Ed Balls the shadow chancellor have made it clear that Labour is not going to change at all. They will now not reverse any of the ConDem government’s cuts to public services and welfare benefits, and will effectively continue the present government’s programme of austerity, if they are elected to government at the next general election. Public sector pay freezes will remain in place under a future Labour government and the richest people in the country will continue to benefit from paying meagre amounts of tax. One really has to ask, what is the point of the Labour party these days? It seems we live in a one party state, where all three of the main parties agree on the same policies, making elections redundant. 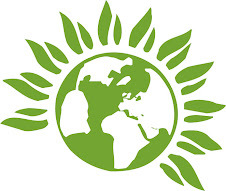 The Green party does set out a new vision, an alternative to the disastrous neo liberal policies of last thirty odd years, but we are small, steadily growing, but unlikely to win the next general election. We might win enough seats to wield some power, if the result is close enough again, but that is all. I had hoped that Labour could be a partner with the Green party in the pursuit of a fairer society electorally, chart the way towards the ‘good society’, sadly that seems not to be the case. Labour members and trade unionists should think about supporting and joining the Greens, that way they can help build us into a party of government that represents their views. Stop wasting your time supporting a party that will never deliver what you believe to be right.